Asia Art Archive’s contribution to Shapes of Knowledge begins with the question: how do the activities of art schools impact the history of art? AAA will present an exhibition display and series of lectures and workshops that draw on their recent research into the pedagogical models used by art schools throughout Asia. Focus will be placed on the following schools: Bigakkō in Japan, Baroda in India, and Zhejian in China. AAA will present two lectures as part of MADA’s Art Forum series which are open to the public, along with workshops devised specifically for students that will involve them undertaking some of the assignments and exercises that came to define these experimental art schools. Asia Art Archive (AAA) is a catalyst for new ideas that enrich our understanding of the world through the collection, creation and sharing of knowledge around recent art in Asia. 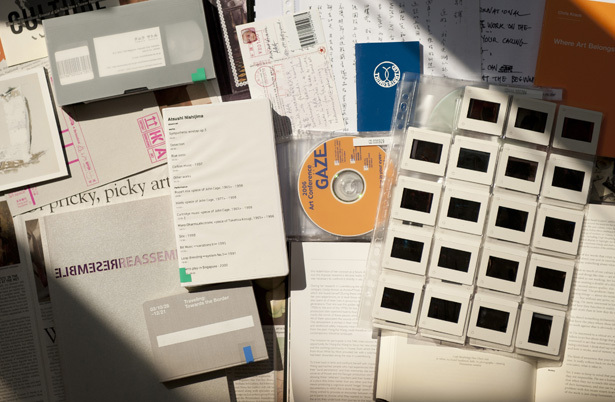 AAA is an independent non-profit organisation initiated in 2000 in response to the urgent need to document and make accessible the multiple recent histories of art in the Asian region. With one of the most valuable collections of material on art freely available from its website and onsite library in Hong Kong, AAA builds tools and communities to collectively expand knowledge through research, residency and educational programs.